West Torrance Luxury Home! Completely Renovated Single Family House on a quiet residential Cul-de-Sac Street with open floor plan and high beam ceilings in the living room, dining room and family room. 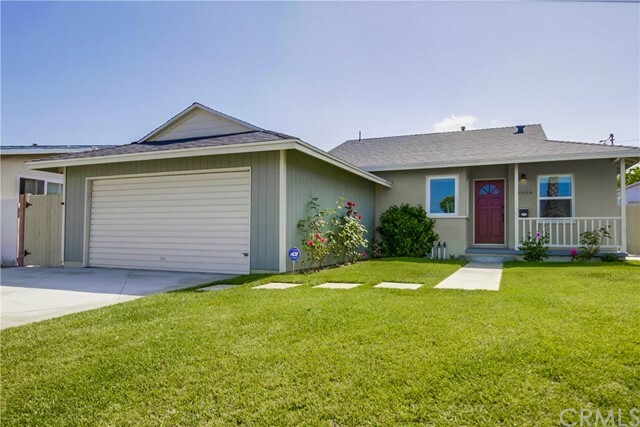 This house is very unique and has laminate flooring throughout and a large bonus room in the back of the house which is perfect for an office or 4th bedroom! Features a master bedroom suite with an attached full bathroom. The kitchen is completely updated with newer cabinets, granite counters, designer tile back splash, large farmhouse sink and stove and all stainless steel appliances are included! Both bathrooms were updated with high end finishes and tile flooring. Includes stackable washer and dryer in hallway closet and the roof and water and main sewer line to street was replaced in 2014 when the owners purchased the home. Energy efficient with dual pane vinyl windows throughout and a newly redone stamped concrete driveway & rear patio area and fresh landscaping & new irrigation throughout. This is a beautiful turnkey house and walking distance to Bert Lynn Middle School and a short walk to West High School!